Quoting Matt Sayers “I like fishing here because there’s nowhere else I catch trout this big” and it seems every week he proves it! This awesome stringer is from Monday this week 3/18 all caught from shore. 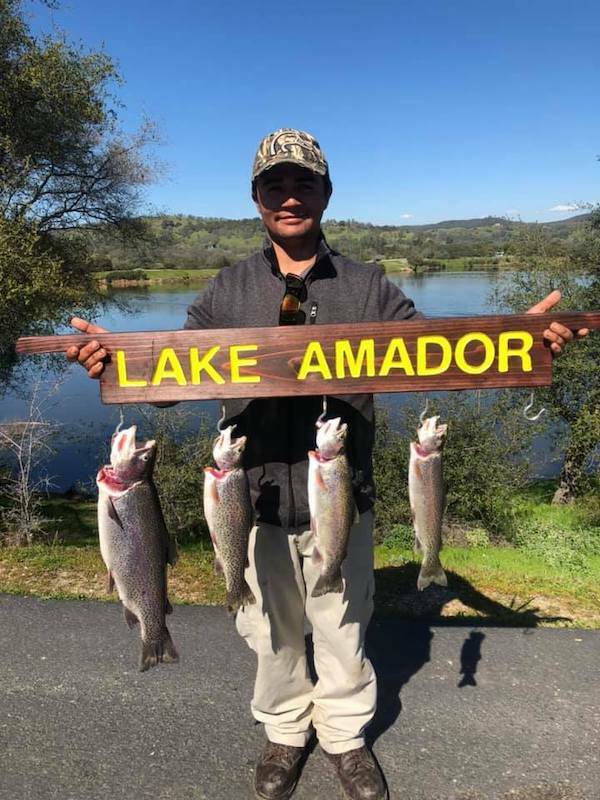 Amador veterans know how to fill stringers, if you need advice find this troutmaster out here and he will point you in the right direction!